He’s still lying on the floor. But then to the impressionistic clarinet from Ravel’s Bolero he performs a single wave-like movement and suddenly stand upright – and follows the Arabian-style melody in his own way. 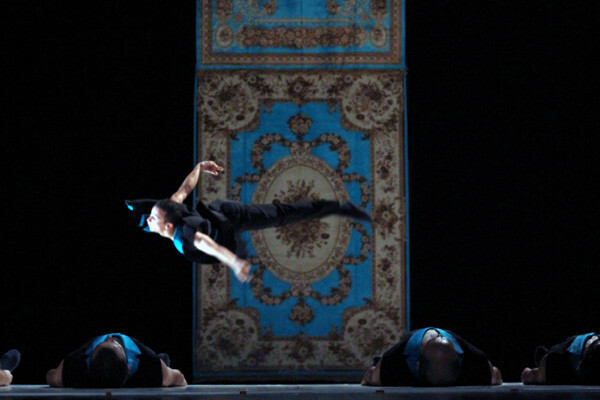 In NYA, nine Algerian men cross hip-hop with ballet and belly dance. They gracefully quiver through the air with soft arms to then defend their positions with energetic leaps. Categories blur and in a contrapuntal manner give rise to unexpected meanings – and a richness in humour and spiritual depths that becomes increasingly dense during the second part of the evening accompanied by the Arabian singing of Honria Aïchi. More than 400 hip-hoppers and acrobats applied when the Franco-Algerian Abou Lagraa returned to the country of his ancestors after the end of the civil war and called for establishing a contemporary ensemble. 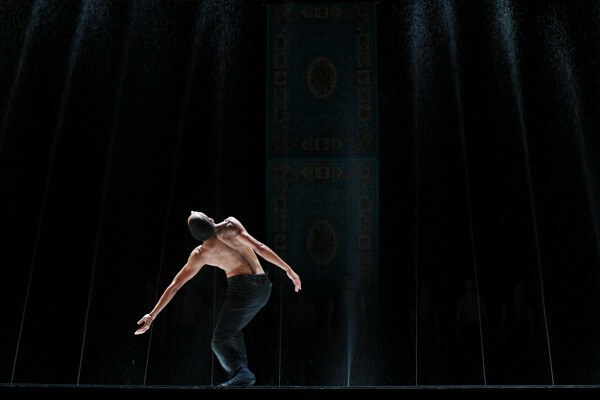 This first production resulting from a Mediterranean cultural bridge received the French critics’ prize as the “best choreography of the year” in 2011.